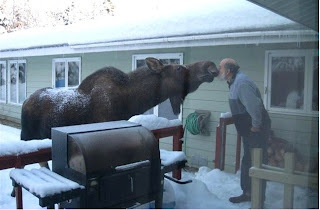 Canada is full of wildlife, there's little arguing that. In fact, it is quite common for Canadians to encounter their forest friends in their yards, for example, or simply walking down the street. 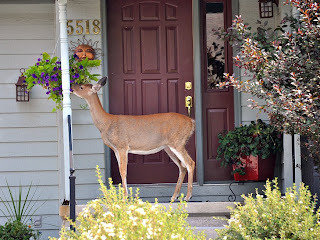 Surely the friendly deer in the front yard, like the one seen below, is always a pleasant and adorable surprise. Look how cute Bambi looks eating the flowers. Still, not all encounters with the forest creatures are that way. Take, for example, this sort of encounter below. Not really sure if running inside to get some feed is the right thing to do. Nor is this a good reaction either, as funny as it may look. 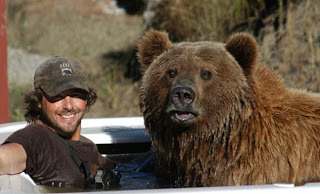 Now those who don't know any better would look at Anderson and Brutus and think 'bears are just so cuddly and cute'. Not quite. 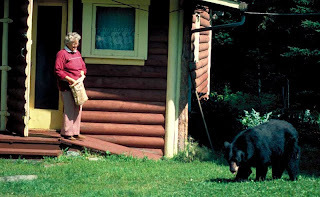 Wildlife experts will tell you that bear attacks are rare; as long as we avoid them, they'll avoid us. 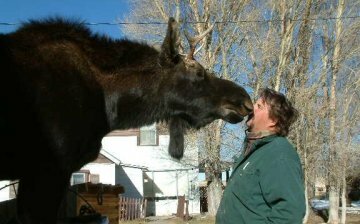 Yes they may be rare, but every year you hear about somebody being mauled, especially so in Canada. 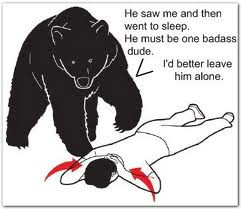 Attacks are often for predatory, territorial or protective reasons, or in other words, they often happens due to human encroachment, with victims often being hikers, hunters, and campers, and other times those who take up residency in wilderness areas. In other words, some folks just don't try hard enough to avoid these creatures. 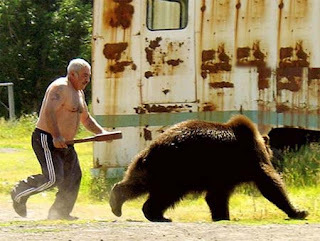 One piece of advice, however, just don't take them hunting.